Here are your top three finalists for the 2019 DAH contest! 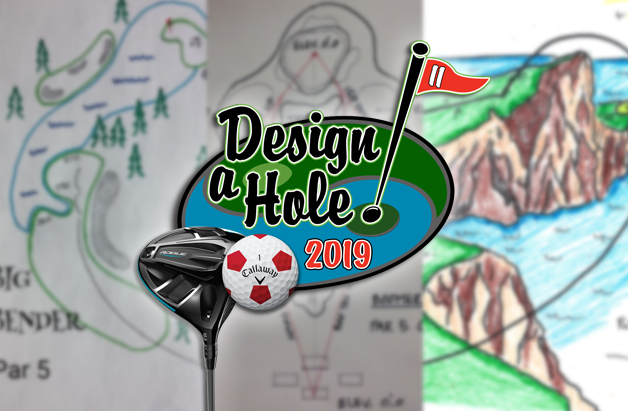 Last week we showed off all 10 finalists in the 2019 Design-a-Hole contest. Today we are revealing the top 3, with the winner being announced on Friday. The winning design become playable in Golden Tee 2019, as well as the designer will receive their very own Golden Tee Home Edition and a year of online play FREE. That’s over $4,000 in value! That means our winner will get to enjoy their Golden Tee creation in their basement or man cave. Congratulations to our three finalists in the 2019 Design-a-Hole contest (in no particular order). 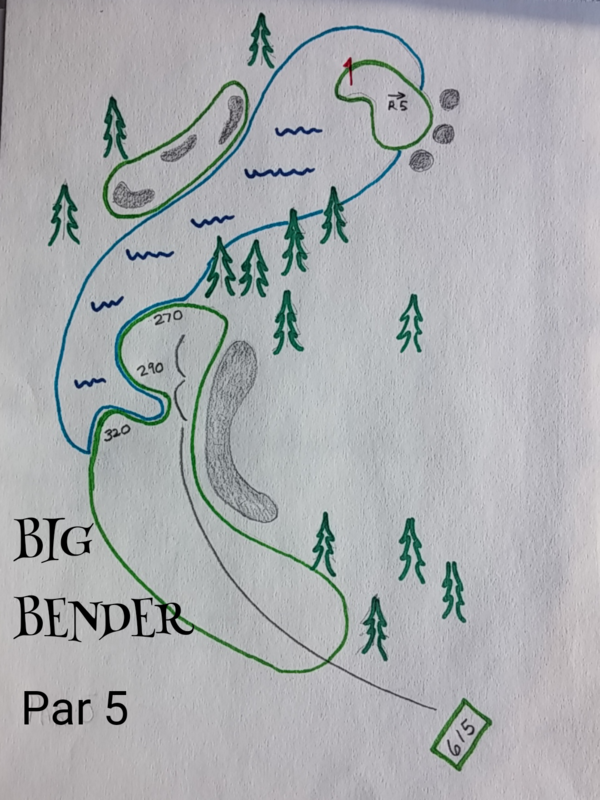 Big bender is a par 5 for those who love to hit the big curve shots! Players wanting to reach this green in two must hit a big left to right curve reaching the end of the fairway leaving a slight right to left curve shot to a right slopped green surrounded by water and bunkers. Players who over curve the tee shot will end up in a deep bunker. 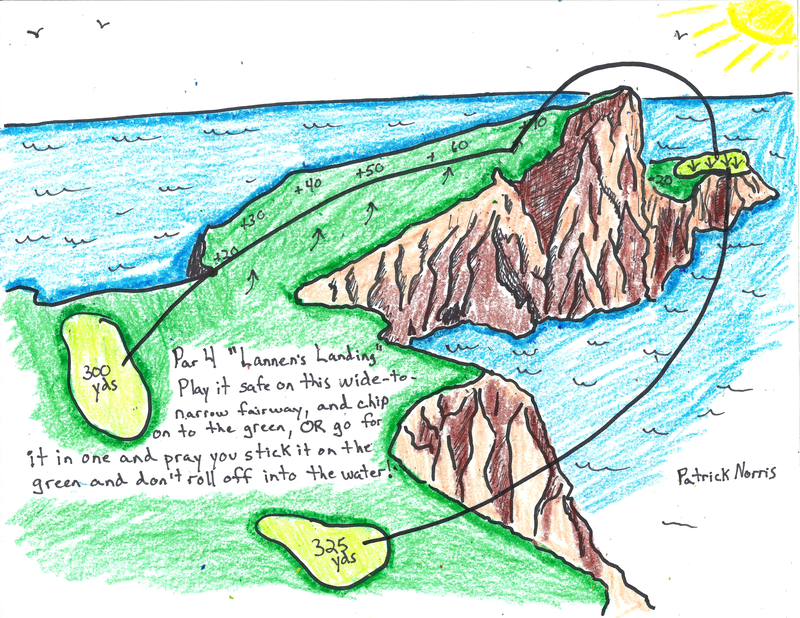 Those who under curve it will still have a chance to skip the ball off the water back onto the fairway possibly leaving the straightest shot to the green. 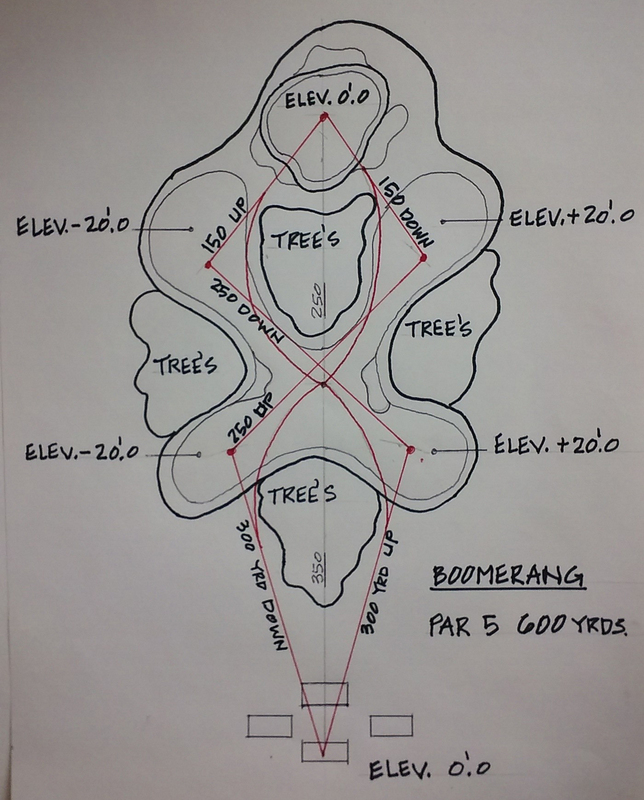 Distances marked on the fairway represent distance remaining to the middle of green.